When life takes you back to the town you were born in after backpacking incessantly to 85 countries around the world, you do often wonder what sparkle your original home has left for you. Knotts in Newtownards, Northern Ireland. Straight from my adventures in the Middle East (touring Iran, Iraq, Azerbaijan etc. ), I headed back with my Mum for a morning touring the main street of Newtownards in Northern Ireland. Back in 1980, I was born in Newtownards Hospital. This is where my journey really began. 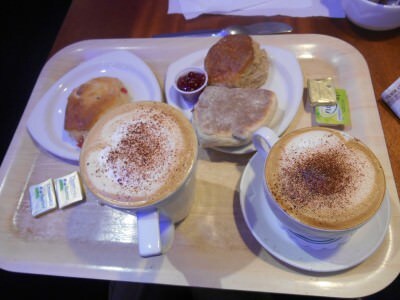 Time for a wee cuppa coffee and a scone so it is. Forgive the Northern Irish speak, I won’t shy away from my cherished homeland ever. Back in my birth town of Newtownards enjoying coffee and scones. As much as I like Oasis, Noel Gallagher possibly got it wrong on this one. No doubt a bit of tongue in cheek involved there, but here I was, back in “the hole where I was born”. Except I love it. I love Newtownards. I’m proud of it. I like the people, I like the vibe. I wouldn’t choose to be born anywhere else. On this journey “home”, in January 2014 it was time for a Friday’s Featured Food. 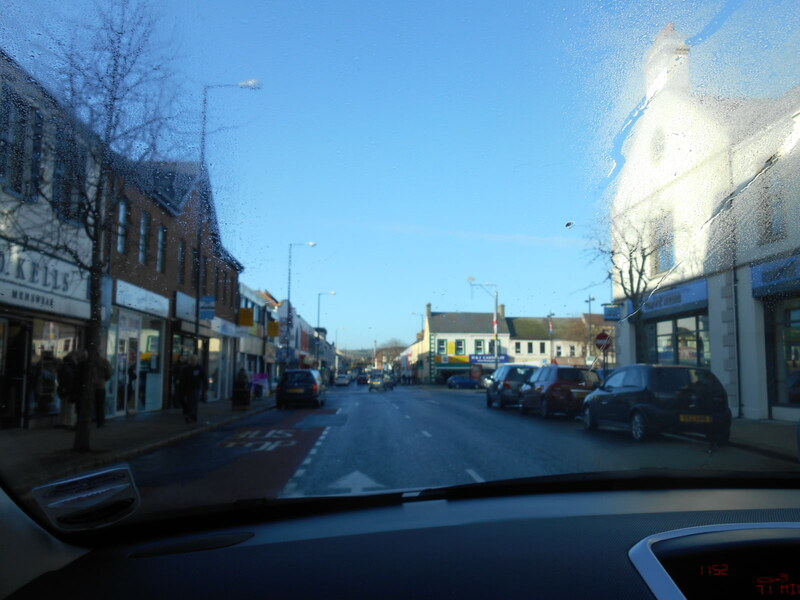 Driving through my birth town of Newtownards, Northern Ireland. 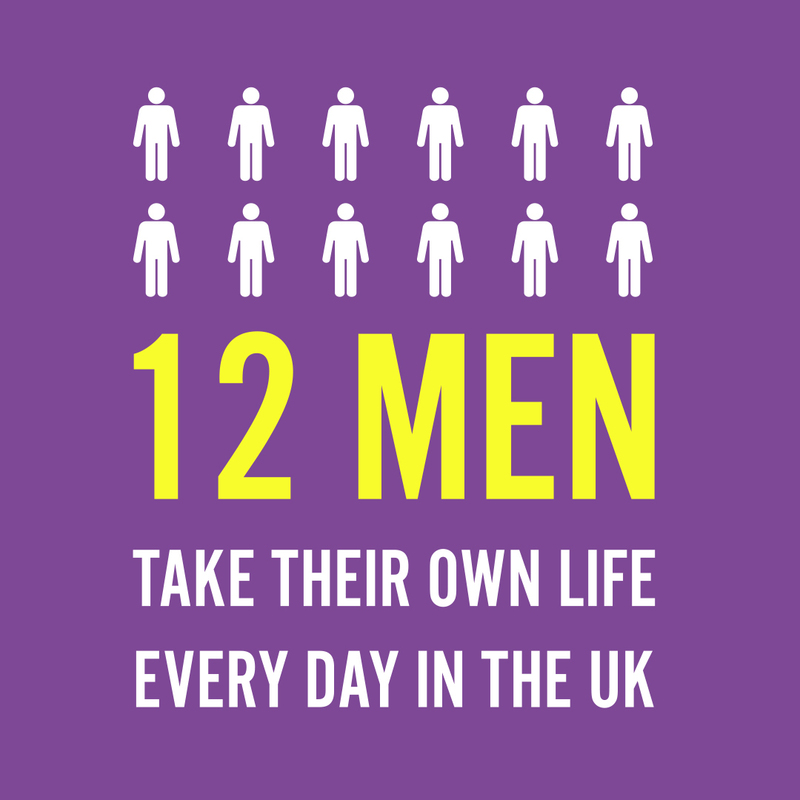 Incidentally if you are reading and you read before that I am from Bangor in Northern Ireland, then that is because I am. 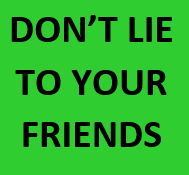 Please don’t get confused. I was BORN in Newtownards, but I grew up in Bangor. Both are home and I have an affinity with both, just as I do with Belfast, the Northern Irish capital where I spent a lot of my childhood, teenage years and right into adulthood, I love Belfast too. 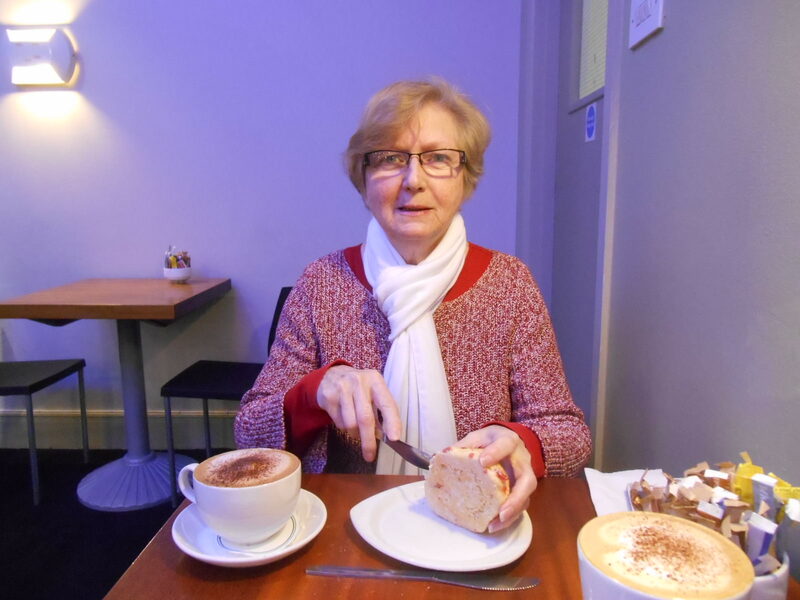 But on arrival in Newtownards this year – it was my turn to take my Mum back to one of our favourite coffee shops in the world – Knotts. 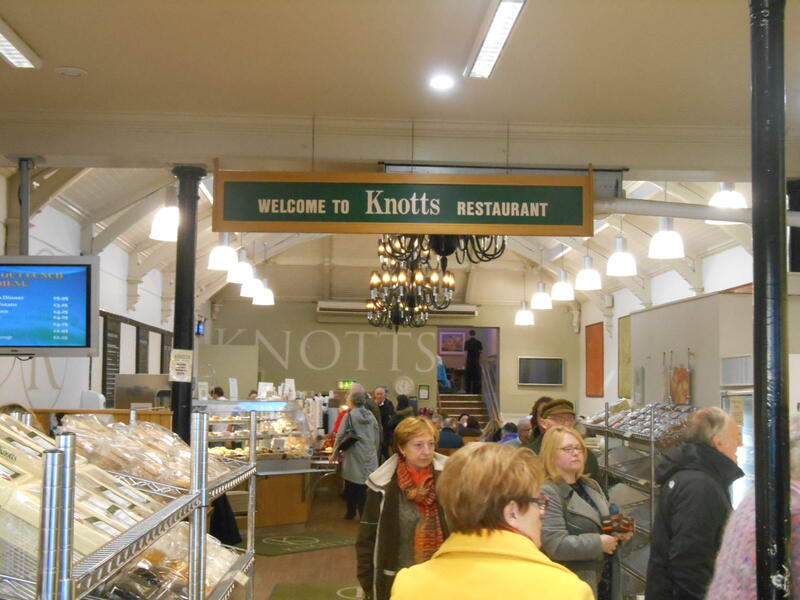 Friday’s Featured Food comes from Knotts in Newtownards, Northern Ireland. Knotts Restaurant and Cafe in Newtownards. A “quare wee spot”. 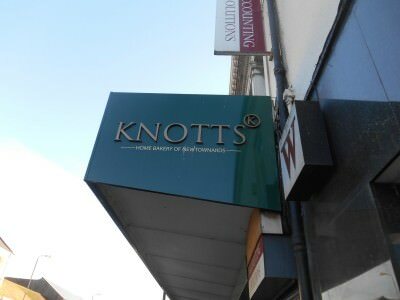 What to drink in Knotts? The selection is good here. A range of coffees and tea plus soft drinks. I normally go for an Irish tea or a cappuccino/latte. Today it was a large cappuccino. The coffee and tea is also served expertly, at reasonable prices and without the garbage or over commercialist nature of ridiculous companies like *bux [sic]. Mid morning snack for me and my Mum – scones and coffee. LOVE it. 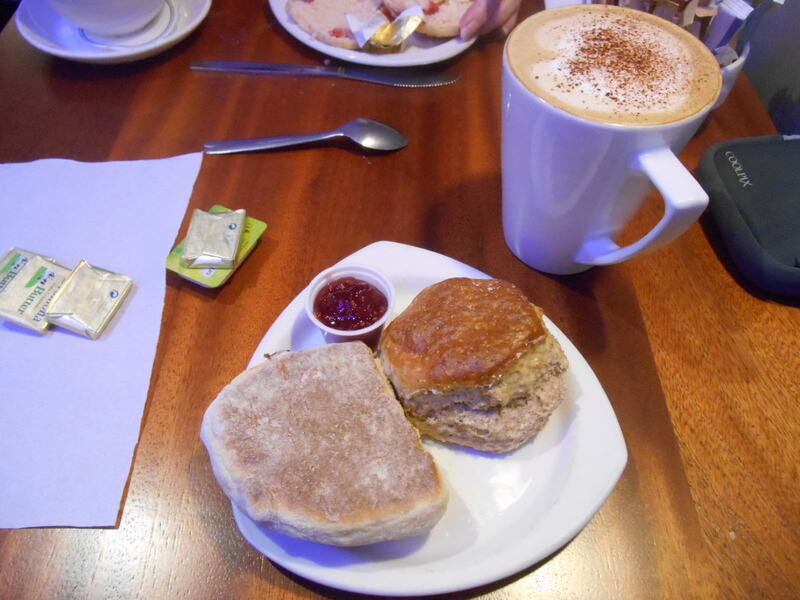 My raisin soda, scone and a coffee in Knotts, Newtownards, Northern Ireland. 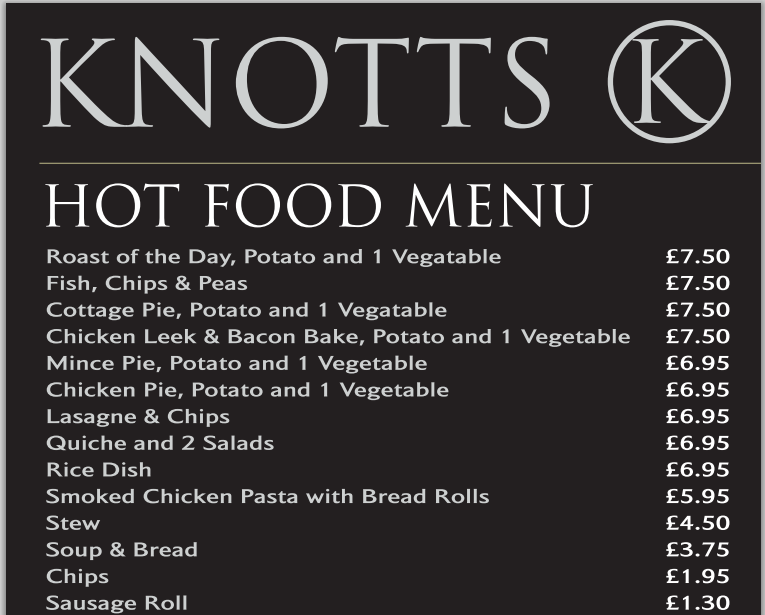 What to eat in Knotts? You have a huge range of treats – Irish and foreign. I normally go for a raisin soda and a wee scone if it’s mid morning. 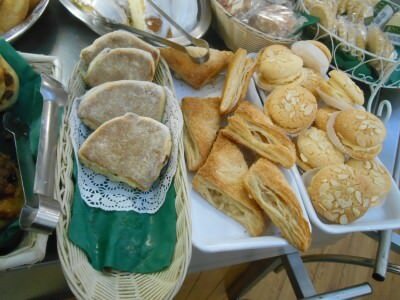 These are local treats – scrumptious Northern Irish food. 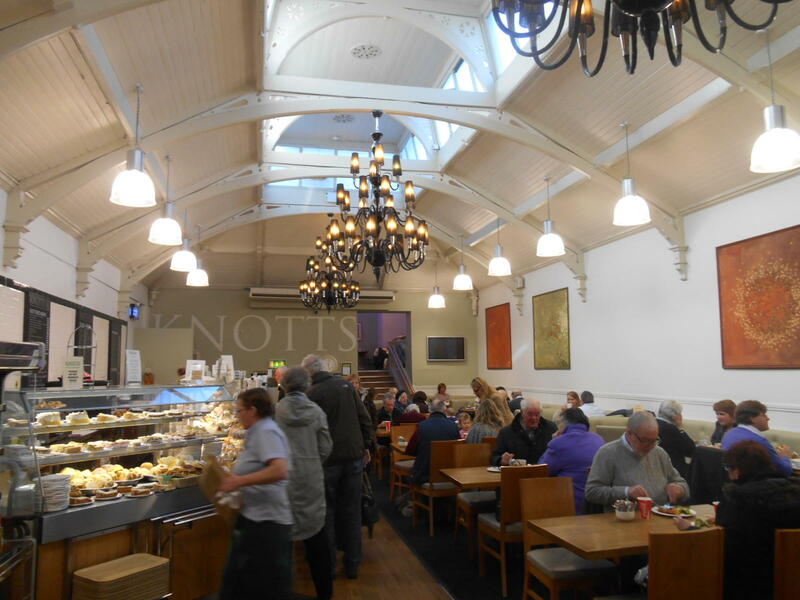 But they also do excellent salads, full on Ulster Frys (Northern Irish breakfast) and a range of cool lunch dishes. The range varies too and they often have soup of the day and dish of the day. If it’s lunchtime I’ll go for an Ulster fry or one of their specials. Scones in Knotts are excellent. Range of bread including sodas in Knotts. 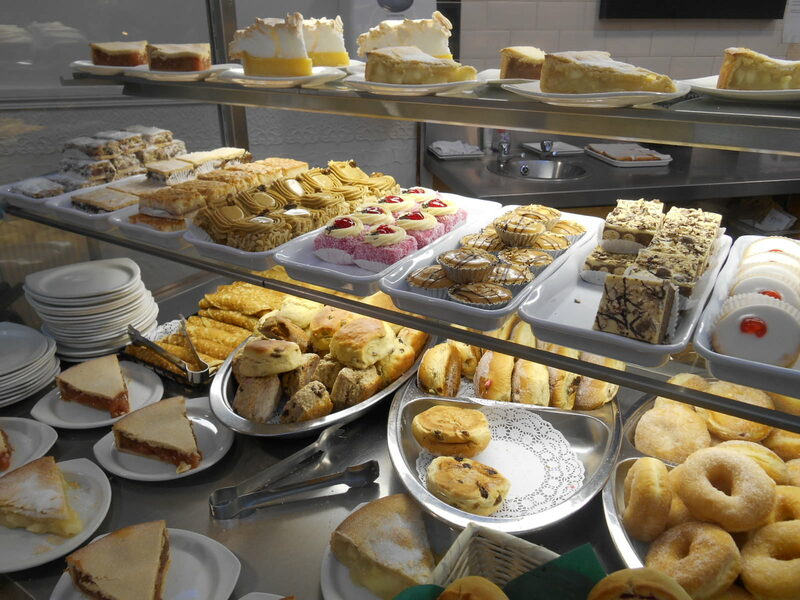 Sweet snacks and cakes in Knotts. The lovely wee scones. Amazingly delicious salads – welcome to Newtownards. 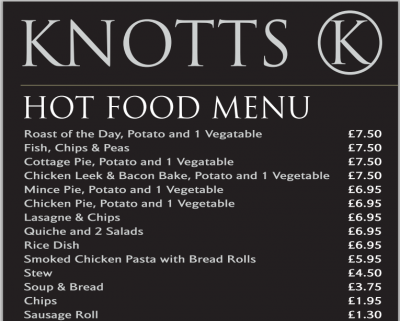 What Price is the food and drink in Knotts? It’s very very reasonable and affordable. 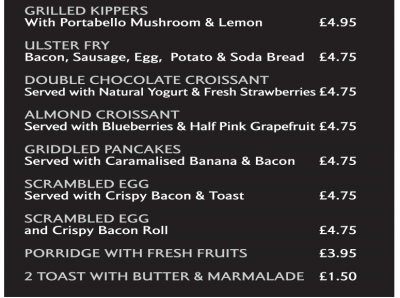 Almost all breakfast items will be priced around £3 to £5. 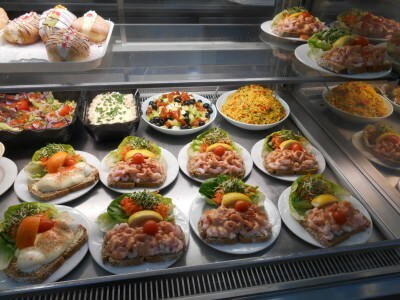 Full meals at lunch also between £5 and £10. 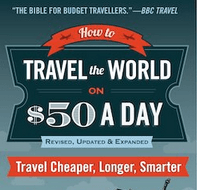 Though please note that prices vary all the time. 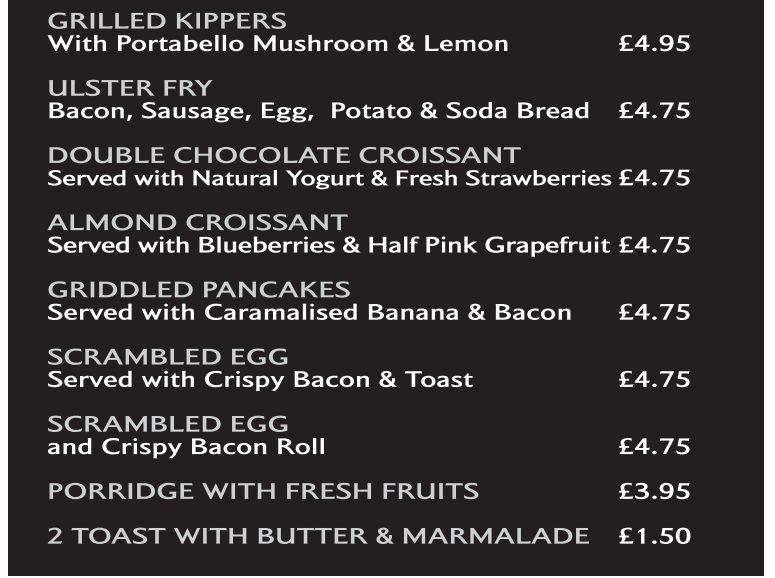 The menu below is the January 2014 prices. 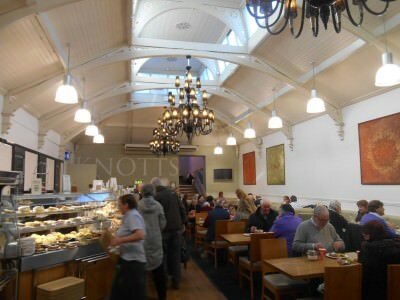 This entry was posted in Daily Features, Destinations, Europe, Friday's Featured Food, Newtownards, Northern Ireland, United Kingdom. Bookmark the permalink. Looks yummy – making me hungry already, and it’s nowhere near lunch time! 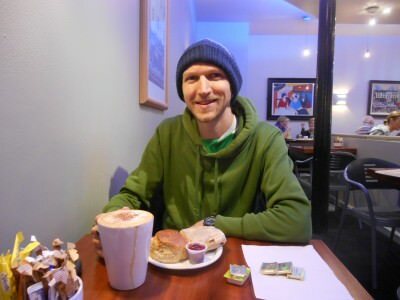 Thinking I may have to go for coffee and a scone sometime over the weekend. Unfortunately not in Northern Ireland, but Cumbria will have to do!